Find out the airlines that collapsed due to financial losses? Jet Airlines' financial struggles came to an end after SBI-backed lenders took control of the airlines. Once it had over 100 planes, now runs only 15. 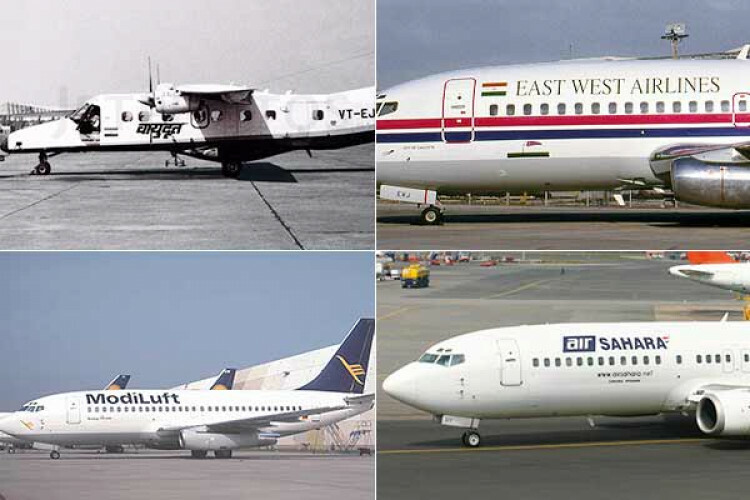 Several airlines could not continue their operations after the financial losses & had to shut their shops which include -Vayudoot, East-West Airlines, Damania Airlines, ModiLuft, Sahara Airlines, Archana Airways, Air Deccan, Paramount Airways, Kingfisher Airlines, & Air Pegasus.